Welcome to Dayton, Ohio, America's 2016 drug overdose capital. Mary works the night shift at an old folks home; her drop-out daughter, Becky, works the night shift at Super 8; new acquaintance Tom has worked every conceivable job for his entire life; and they all work Dr. Wilmington, their favorite physician. But something isn't working. They are all caught up in the mass casualty opioid death march that now seems as permanent as Ohio's gray skies, crumbling concrete, lonely nights, and dead end jobs. 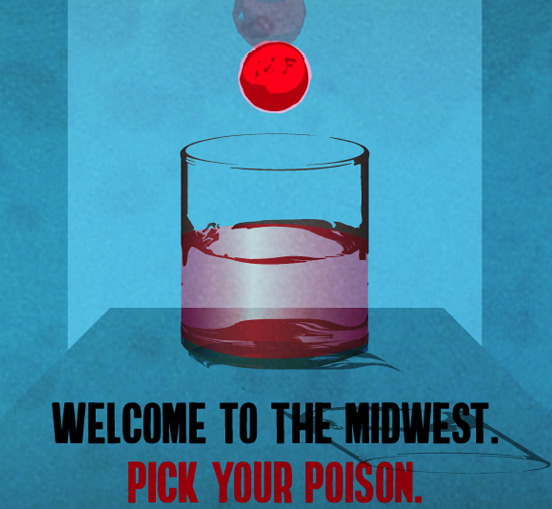 Welcome to the Midwest. Pick your poison.